Do you want to scale your Marvelous Designer garment up or down without needing to re-simulate all the layers and rearrange all the pattern pieces? In the first free Marvelous Designer tutorial in this series you will learn how to easily and quickly scale any garment to fit smaller or bigger avatars without changing the garment or the patterns at all! In most cases, when the avatar’s proportions are similar there is no need to change the clothing pattern and re-simulate it all over again. 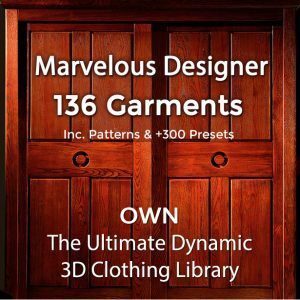 Discover how to easily fit Marvelous Designer garments to numerous different avatars which are much smaller or bigger (such as fitting one dress to small kids, fairies, dwarves, teens, and adult females). In this tutorial you’ll see how to scale up a garment using shrink weft and shrink warp, as well as how to make small modifications to the garment’s pattern in order to fit the garment to an avatar with a completely different body shape. We hope these Marvelous Designer tutorials help you! Check out our Marvelous Designer beginner’s course and advanced workshops to master Marvelous Designer in no time. 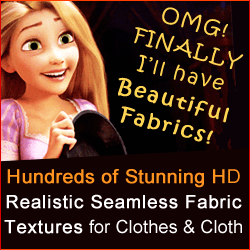 Do you have any more questions to do with how to scale Marvelous Designer garments? Let us know in the comments below!